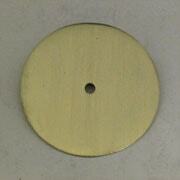 We can Custom Match any finish on Brass material. Example.... If you like a product that has a finish that you like from another supplier, we can match that finish to all the Brass material products in our store. The pricing of the product may change if we have to do a custom match. Email us (contact@signaturethings.com) an image of the current product you are trying to match, We will analyze the image and let you know for sure if it can be done. In email please let us know which products you would like from our store to be matched. We will them provide you a quote for that custom matched finish. Once the the order is placed and confirmed you will ship us a physical sample so we can do a good match. 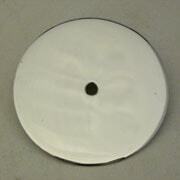 We will then finish our products and ship back the sample with the order. We will need more time on these orders, so please plan ahead. It is Polished Shiny Brass without lacquer coating for protection. These items can be regularly polished to retain its brilliance or left to age gracefully as the brass oxidizes. If this finish is left exposed to the elements it will Patina and age very well. Note: since there is no lacquer, to begin with, the pieces may look a little dissimilar in the beginning, but over time they will all Patina based on the elements it is exposed to and the use. Satin Brass is essentially the same as Polished Brass, but with a brushed finish rather than a high-gloss polish. Think Matt Gold finish. Our finish is Lacquered for Protection. Brushed Satin Brass. This finish is Shiny Silver finish on Brass which is Un-Lacquered. Bright chromium plated. Satin chrome is more silver in color, without mirror finish, it's an alternative finish to bright chrome with a more subtle appearance again more Matt, not Glossy look. Our finish is Un-Lacquered. Brushed Satin Chrome. It's a polished nickel plating on Brass. It can be lacquer coated to protect but we do not as it looses a lot of its Shine and Luster. Our finish is Un-Lacquered. Bright nickel plated. 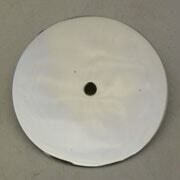 Sometimes referred to as brushed nickel is a plating on brass that has been reduced and lacquer coated. It has a similar shine like stainless steel for a Matt not Glossy look. Our finish is Lacquered for Protection, except for Brass Rods which are Un-Lacquered. It's a raw brass plating and to give the antique look it is darkened through the chemical process. 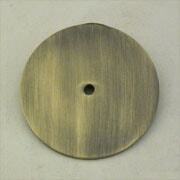 The antique brass finish is typically a medium brown with golden tinges. 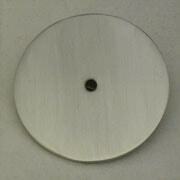 We have the ability to control this finish to match any existing finish you may already have going in your design. We just need a sample of the existing piece to match. Our finish is Lacquered for protection. 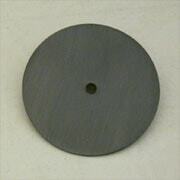 This finish is very dark and varies from a deep brown to a dark gray and usually has the subdued copper finish. 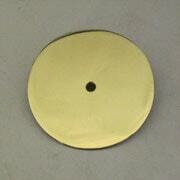 This finish is applied by hand to each and every brass item. We have the ability to control this finish to match any existing finish you may already have going in your design. We just need a sample of the existing piece to match. Our finish is Lacquered for protection. It is Aged Matt Brass finish without lacquer. The Items are first finished to Polished Brass, they are then dipped in chemicals to Start and Expedite the Aging Process, they are left unlacquered. We Expedite the aging process by 6 to 8 months for the products. When you receive the items they will NOT be shiny either will they be Satin, more like Natural Aged Brass. These items may be regularly polished to retain its brilliance or left to age gracefully as the brass oxidizes. If this finish is left exposed to the elements it will Patina and age very well. Note: since there is no lacquer, to begin with the pieces may look a little dissimilar in the beginning, but over time they will all Patina based on the elements they are exposed to and their use. Sometimes also called Vintage Brass Finish. Black Painted un-lacquered is a New finish we are adding to our selection. Here the Brass Product is first naturally darkened to the darkest Oil Rubbed Bronze finish, it is then Spray Painted to Matt Black finish. This is Un-Lacquered and is designed to give the distracted look after use. When the paint chips off it will expose the dark ORB finish underneath. This is NOT powder coated. 'Blush-Red' is the newest in our range of vibrant colored brass finishes. 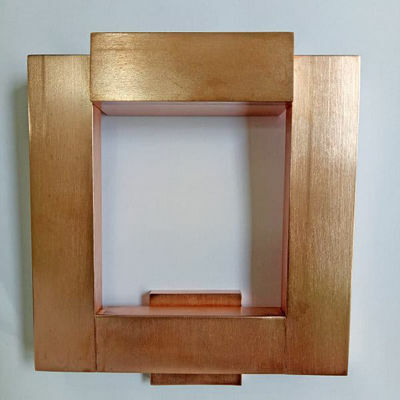 This finish is a finely curated shade of copper and it brings out the nice rosy red look. It is lacquered for protection. Dual Tone Finish is available for all products where we can put two finishes on some part of the same product. It is also sometimes referred to as Gold and Silver Finish. 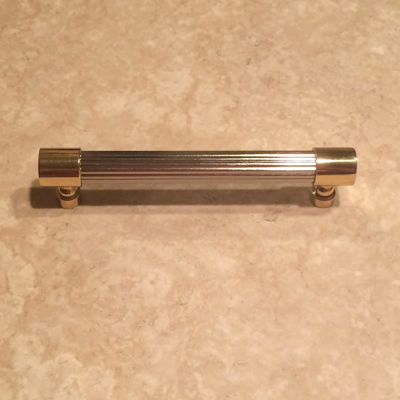 Here you can pick 2 finishes example Polished Brass on the Post and Ring and Satin chrome on handle...... Be Creative and we will custom finish it for you. The cost usually will be the cost it will take to do each finish per the product.